When your immune system is strong, your health is good. When it breaks down, “dis-ease” sets in. Inside your body is a protective mechanism designed to defend you from millions of invading, harmful bacteria, microbes, viruses, toxins and parasites. One of the main causes of multiple diseases is stress. In fact, stress is a veritable incubator in which diseases can propagate. 1) Routine stress related to the pressures of work, family and other daily responsibilities. 2) Stress brought about by a sudden negative change, such as losing a job, divorce, or illness. 3) Traumatic stress, experienced in an event like a major accident, war, assault, or a natural disaster where one may be seriously hurt or in danger of being killed. The body responds to each type of stress in similar ways. Different people may feel it in different ways. For example, some people experience mainly digestive symptoms, while others may have headaches, sleeplessness, depressed mood, anger and irritability. 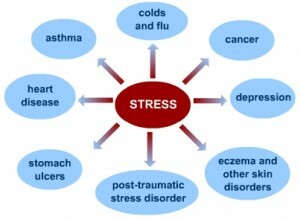 People under chronic stress are prone to more frequent and severe viral infections, such as the flu or common cold. Of all the types of stress, changes in health from routine stress may be hardest to notice at first. Because the source of stress tends to be more constant than in cases of acute or traumatic stress, the body gets no clear signal to return to normal functioning. Over time, continued strain on your body from routine stress may lead to serious health problems, such as heart disease, high blood pressure, diabetes, depression, anxiety disorder, and other illnesses. Pay attention. Take the time to learn to be observant. Study carefully how you personally respond to stress.You may not be able to control certain situations and/or what other people say and do to you. But you can change the way you respond to these. You can retrain your reaction, and by doing so, you will be able to strengthen and retrain your immune system. Notice how stress causes your heart to race, your breathing to become shallow, and even parts of your body to constrict or even twitch. Panic and confusion may set in, along with the fight-or-flight mechanism (note that this particular mechanism can also be a healthy, intuitive response to stress, depending on the situation). Or you may simply freeze with fear. And then, when others tell you to “Just calm down,” their command merely makes you feel more helpless, even angry. Tai Chi teaches you how to relax. After many centuries of practice in China, Tai Chi is today becoming recognized by numerous medical and psychological researchers and practitioners in the West for its multiple benefits. 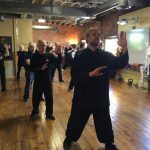 Because every system and organ in the physical body, as well as a person’s emotional and mental states, are affected by stress, learning to relax, the essence of Tai Chi, has a profound effect upon a person’s ability to heal. Stated simply, by learning to relax, you activate the flow of chi (bio-electric) energy to circulate the way chi is intended to flow in the physical body, along the meridian channels and associated vessels, recognized by acupuncturists for thousands of years. Wherever this chi energy is “stuck” or constricted, generally due to stress for whatever reason, an incubator is set up for disease to develop. By learning to relax, the resulting circulation can erode the blockages throughout the physical body. 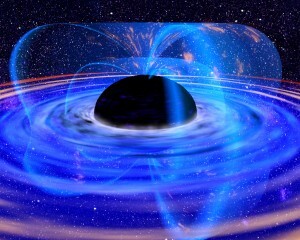 Everything in Nature circulates and orbits. Everything in Nature has its own special language, including your physical body. Nature in fact is filled with countless examples of circulating, spiraling, and orbital energies, from subatomic particles to human DNA to earthly and celestial wonders. A Tai Chi master today also speaks of the importance of emptiness, for the purpose of releasing the flow of chi. This terminology is something most people misunderstand. Emptiness is not some “zombie” state, but rather a hyper state of being in tune with both one’s internal and external worlds — physical, emotional, mental, and spiritual. It is a state of awareness and clarity that comes with “letting go” of the tension of holding on. Without emptiness, there is no internal power. A martial artist, for example, may know all the right moves, might have mastered the outward form, but they are only as effective as they can abide in, move within, and release the flow of chi from the state of emptiness. Emptiness is the key to relaxation, and without relaxation, the chi cannot flow and no internal power can be generated. In the martial art of Tai Chi, often considered the root and essence of all other martial arts, without internal power, the form is only a slow, graceful dance. In order to retrain your immune system — including muscle memory, tendons, nervous system, organs, blood vessels, bones, and spinal alignment — you need to know what you are probably doing wrong, such as: walking wrong, running wrong, stretching wrong, twisting wrong, bending wrong, reaching wrong, lifting wrong, pulling wrong, pushing wrong, and exercising wrong (including bulking up/stressing your muscles). 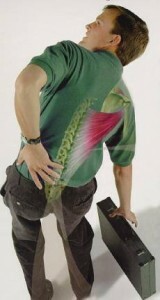 There are certain motions that the physical body is not designed to do on a routine basis. By exceeding or contorting your anatomical range, you get problems like rotator cuff injury, herniated discs, tennis elbow, knee and ankle pain, and hip deterioration and/or dislocation, to name a few. Just as there are wrong ways of doing something, there are correct ways. And you can learn them through Tai Chi. Tai Chi can help uproot you from your responses to stress and retrain your immune system. This will not happen overnight. Some students may experience change in micro-stages only, while others experience change in both micro-stages and bursts (those so-called “aha moments”). But as millions of Tai Chi students throughout the world can testify to — change you will!